Future major: Changes to your major are shown in Profile and on Registration “card” and make it easier to plan for upcoming quarters. Search UW: You asked for it and now you have same search you get at UW.edu. 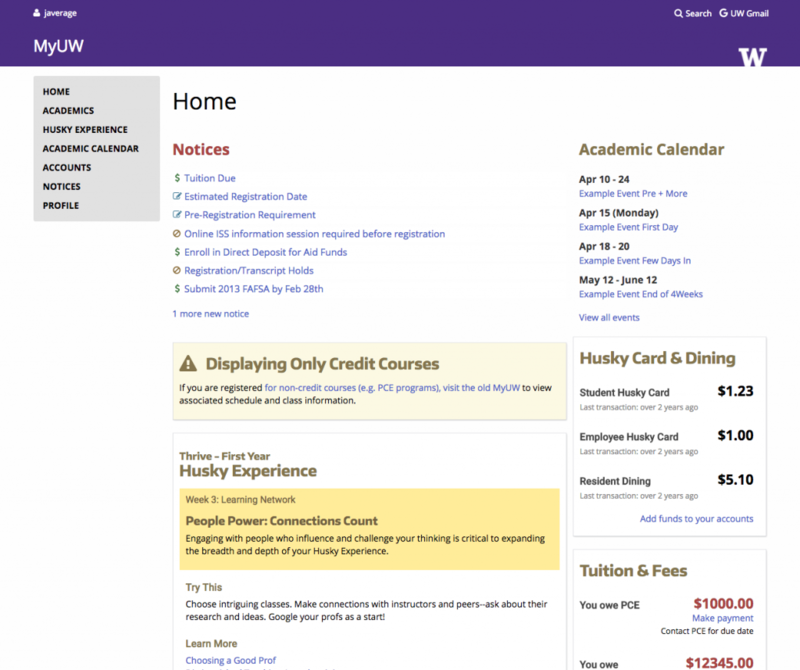 New home page offers a streamlined view with links to the major areas (Academics, Accounts, Husky Card, etc.). New navigation helps you quickly find the information you need and reduces scrolling. 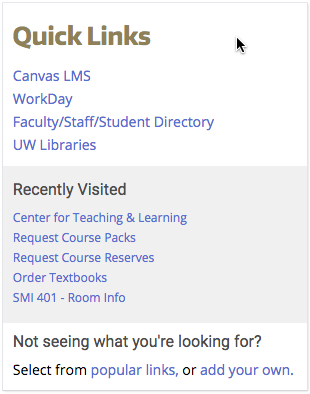 New and improved quick links will show links to popular resources and those you’ve recently visited. You will also be able to customize your list by adding any link you choose.